When poet Anne Home married the surgeon John Hunter in 1771, many considered it an odd match: John was gruff and impatient, while Anne was admired for her sensitive lyrics. But it seems to have been a successful relationship. In later years ‘Mrs John Hunter’ collaborated with the composer Franz Joseph Haydn on a number of English songs. 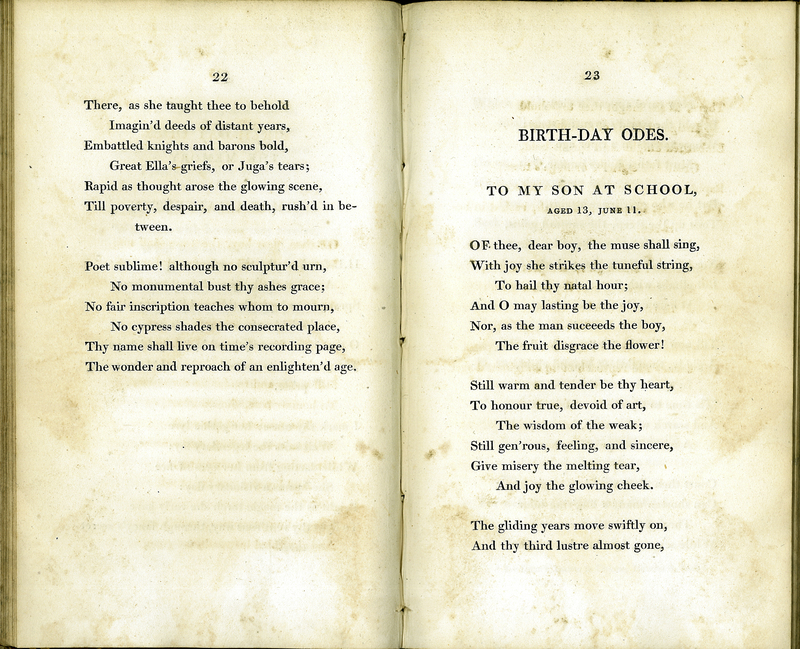 Many of the poems in her 1802 collection celebrated her son, a future soldier. She also introduced her niece, playwright Joanna Baillie, to London society. Mrs John Hunter, “Poems,” ourheritage.ac.nz | OUR Heritage, accessed April 26, 2019, http://ourheritage.ac.nz/items/show/10166.